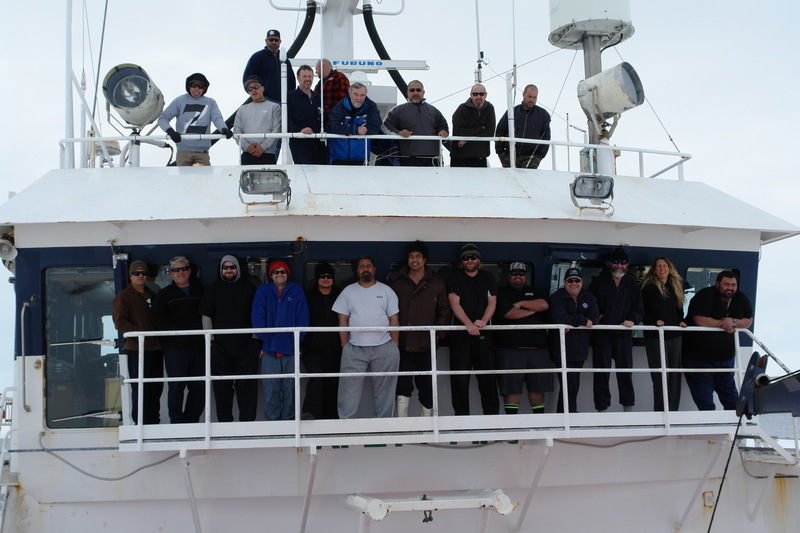 Vessels working in the Antarctic environment are confronted with additional challenges when compared with operations around New Zealand and other lower latitude fisheries. The obvious ones are the ice and cold. Additionally there is a strict obligation to keep our environmental footprint as low as possible – that is reducing the impact of our operations on the Antarctic environment to the minimum. There are also fishing issues such as the minimisation of seabird interactions. 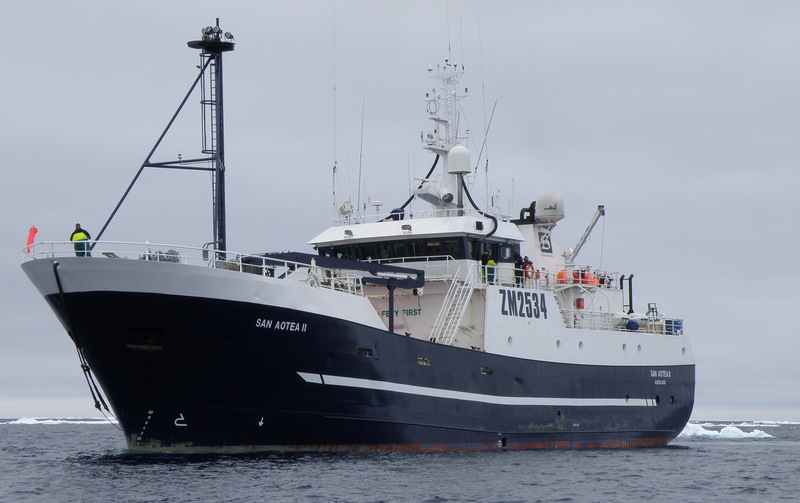 So what makes our vessel, San Aotea II, suited for working in these cold southern waters? Well she was purpose built in Norway for polar waters, originally for a Russian Company but purchased by Sanford specifically for Antarctic fishing. 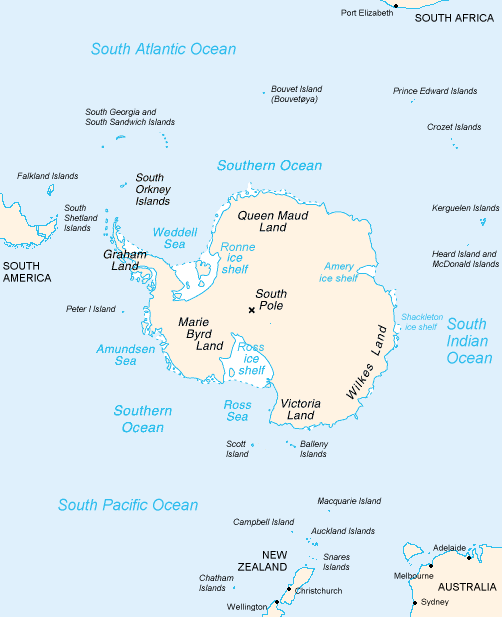 She has successfully operated in the Ross Sea for the past fourteen seasons. We have a heated foredeck, rail, and warm air running up through the foremast. This controls the build-up of ice on the forepart of the boat in cold and stormy conditions. The bridge windows have trace-heating wires through them to stop ice accumulation there as well. We also have good accommodation heating, heating in the stability tank and the factory overboard sumps. There is an extensive array of ice lights up on the forward mast to assist safe navigation in the hours of darkness which can occur late in the season. She is built to an ice classification for operation in regions where ice floes of 40cm thickness are anticipated – New Zealand requires its vessels operating in Antarctic waters to be of an ice-strengthened class. We issue good warm protective clothing and carry survival suits for all crew members and observers. In an emergency we have four encapsulated life rafts aboard. Carried either side of the vessel, each pair can take a total of 45 persons – our full crew complement is 26. We also have an alloy Rigid Inflatable Boat (RIB) with a 50 HP outboard. To reduce seabird interactions San Aotea II is one of very few longliners fitted with a plant which converts all fish waste, unusable by-catch, and bait into dried fish meal. All garbage is sorted and retained for disposal ashore or burnt depending on type, with the ash being retained for shore based disposal. All food waste must be finely macerated before discharge. Eggs and chicken bones, a special case, must be kept aboard due to the risk of infecting wildlife with Salmonella. The factory sumps are fitted with fine screens to prevent any processing waste going over the side. There are other considerations - remoteness means additional challenges when confronted with potential medical and dental issues and the lack of access to emergency services is always kept in mind. Crew and vessel safety is paramount. And finally to make it all work we have well-trained and experienced officers and crew, many of whom have spent many seasons working in the Ross Sea – but more on the crew in a coming blog.